On the road for a few weeks. 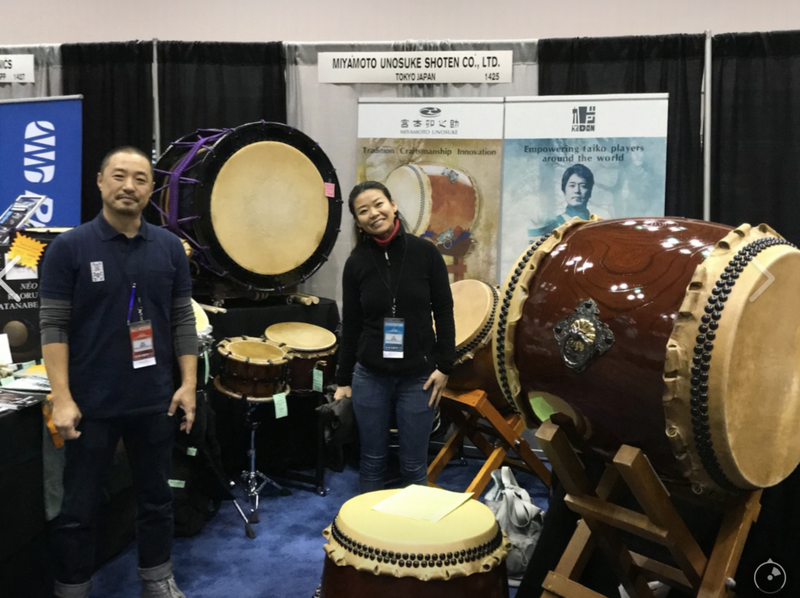 From November 8th to 11th, I was at PASIC, a large percussion convention, to take sit on a panel discussion and to give a performance/clinic. I was also proudly representing Miyamoto Unosuke Shoten and kaDON. From here I’ll spend a bit of time in Kentucky, up through Ann Arbor, MI, Dublin, OH, DC and back to Philadelphia all for workshops and performances. Thanks, Shoji, Aya, Yoshi, Yui, Jacob, Joe, Eileen, Brian, Mark, Lisa, Evan, Therese, Tamiko, Fumi and others for making things possible and meaningful. Only a few days after getting home, I will get on a plane to Japan for about two more weeks of performing and teaching. Please see the complete listing of activities below. If you have friends or family anywhere near where I'll be, I'd much appreciate help getting the word out. The music continues to develop and grow with each encounter and interaction I have and I continue to look forward to sharing with an ever-expanding circle of friends.